Guidelines for miking for speech on stage. Keywords: Vocals, speech, microphone set-up. Achieved knowledge: You will achieve knowledge on how to mike for speech on stage using headsets. Auditoriums, churches, educational facilities, conference rooms, courtrooms and theaters are all places where one or more people speak to an audience. If that speaker is untrained, and/or doesn’t know to speak up in a clear and articulate manner, this can be an issue. Moreover, the speaker may not use a handheld microphone. Or, he may employ a lavalier microphone, which can cause severe level changes when the speaker turns his head while talking. The best way to address this challenge is to use a head-worn microphone. When a singer performs on stage with a microphone, he typically has to contend with sounds radiating from musical instruments, monitor speakers and other sources. To avoid this and still ensure the singer’s voice sounds great, use a headworn directional mic. Compared to an omnidirectional mic, the cardioid design of a directional mic will pick up only half the amount of the background sound. Furthermore, the low-frequency sounds from loudspeakers, drums, etc., will be reduced to a tenth or less. When employed with a wireless system, a head-worn microphone offers a number of advantages. As the microphone is close to the sound source, it does not need to be gained as much, which is beneficial when using several microphones simultaneously. In addition, it offers speakers the advantage of having total freedom of movement, including in front of screens or boards. With the DPA adapter system, the d:fine™ Headset Microphone series can be run both wired and wirelessly. Microphone Technologies: omnidirectional or directional? While few people select omnidirectional handheld microphones for the stage, these mics are much more popular for headsets in conferences, theatres and houses of worship. Most likely, this is due to the security of always having a defined and unwavering mic close to the mouth. In order to realize the best use of their microphones, live engineers should be familiar with the proximity effect, wind sensitivity and rejection individualities of the different types of directional microphones. In particular, they should pay attention to the course of a directional headset’s rejection, examining the microphone’s most sensitive path and whether the rejection actually points toward the sources they want to attenuate. For controlled environments, such as a stage set for a musical, the omnidirectional headset is preferred due to its more natural tone, lack of proximity effect and more forgiving need of placement accuracy. More than 30 channels live is not unusual for microphones used in these scenarios. The gain-to-feedback ratio is the most sought-after parameter in live engineering. If the ratio between the sound level of the voice and all other sound levels around it were consistently at the right level, there wouldn’t be a problem. But in reality, the voice is not able to compete with stage monitors or such instruments as drums and guitars. This is where the choice of using stage monitors or in-ear monitoring comes into consideration. While the in-ear system is preferable from a gain-to-feedback ratio perspective, the interaction between both a microphone and a PA speaker’s off-axis linearity is what decides the matter. The more perfectly linear both are, the better the sound quality and the gain-to-feedback ratio. Proximity Effect: How Close Can You Go? 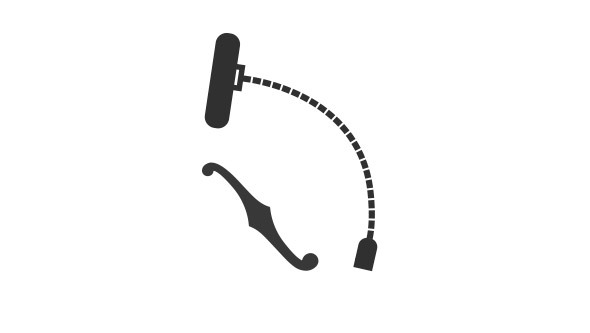 With directional (pressure-gradient) headset microphones, the talent performs within a short distance of the microphone, influencing the bass level. A good headset will feature a proximity effect tailored to its exact application, working within a reasonable distance tolerance. Omni headsets are sensitive to sound from all directions. The timbre of the sound remains constant regardless of the distance between the sound source and the microphone. The positioning of microphones with omni-directional characteristics is less critical; consequently they can also be better hidden. 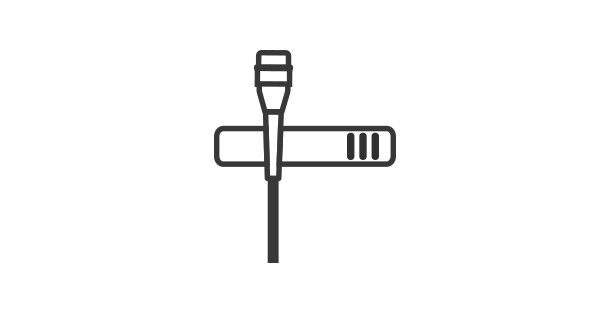 If the user is not accustomed to positioning a microphone, an omni-directional microphone is the obvious choice, as it is generally not very sensitive to wind, breathing and handling noises. The omnidirectional d:fine™ Headset Microphones offer consistent audio performance at all sound pressure levels, impressive gain before feedback and stable construction. They are truly a plug-and-play solution for any situation. Rejection occurs to the sides and rear of cardioid- or supercardioid-patterned directional headsets. This is why it’s best to point them at the mouth, as the sensitivity to sounds coming from the rear is very low at this angle. All cardioid mics boost low-frequency sound whenever the microphone is close to the sound source, a phenomenon called the proximity effect. 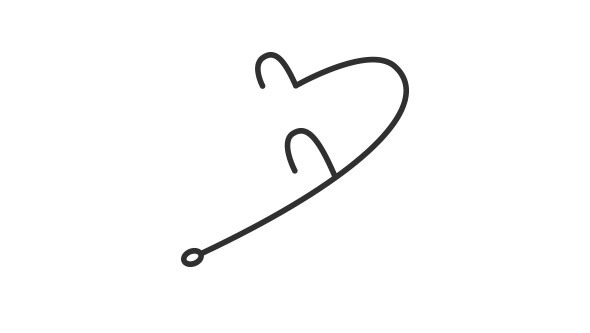 This happens with the typical placement of a d:fine™ Directional Headset Microphone, which is just a few centimeters from the corner of the mouth. In order to get a flat response at this position, the d:fine introduces a correction, giving the user’s voice a natural sound while reducing the level of distant sound sources, especially at low frequencies. For noisy surroundings, or a situation where high gain is needed, a headband microphone with cardioid characteristics is an excellent choice. The d:fine™ Directional Microphone rejects side and background noise while creating higher separation from nearby sound sources. This improves the gain-to-feedback ratio and offers the user more channel control. As the natural voice intelligibility is preserved, along with very high SPL capabilities, one can both speak and sing into the mic with no hint of distortion. Single ear: The d:fine™ Single-Ear Headset Microphone automatically adjusts to each wearer through a steel-spring construction, applying consistent pressure, regardless of ear size, to ensure the earpiece stays in place. The wearer can take it off and on, with the piece adjusting or returning to its original shape each time. It is possible for the talent to mount the headset ion their own, which makes the single-ear headset less assaulting to untrained users. As with wearing glasses, you tend to forget you are wearing the headset after a short time. Dual ear: For applications with a high degree of physical movement, such as theater and television hosting, it may be necessary to secure the fit to the head even more than with the single-ear approach. The d:fine™ Dual-Ear Headset Microphone is designed to meet this need. A flexible size and custom bend give it a slim fit around virtually any head, while offering safety and steadiness. In short: How to Select an Omnidirectional or Cardioid Headset?